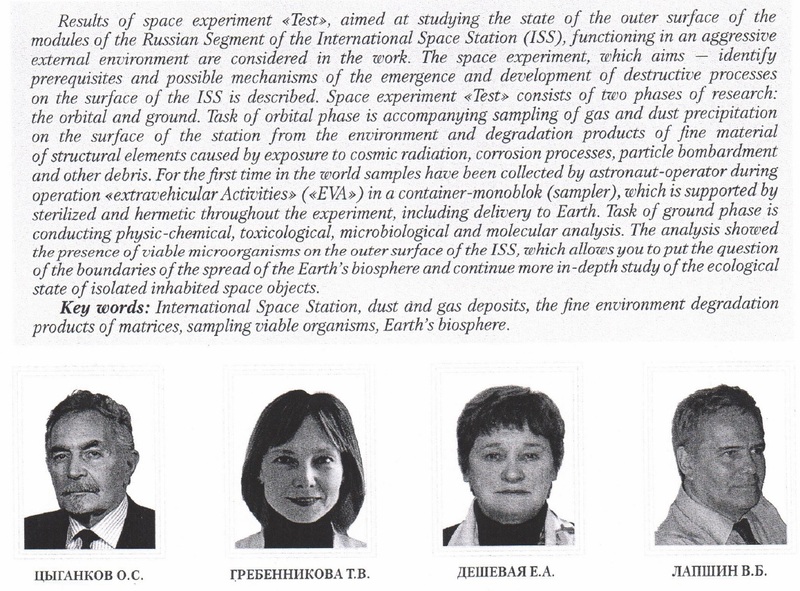 “Russians scientists have started testing dust samples taken from the outer surface of the International Space Station (ISS) to confirm the results of earlier tests that suggested that micrometeorites and comet dust bombarding the ISS in low Earth orbit could contain alien or extraterrestrial life forms”. 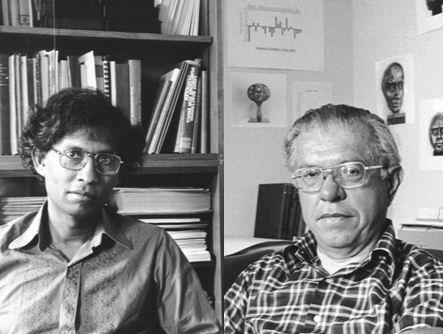 Meanwhile, the British astrobiologist Professor Chandra Wickramasinghe, of the University of Buckingham, has hailed the Russian study as potentially the “most significant development of the century” that could revolutionize our understanding of life on Earth and in space. 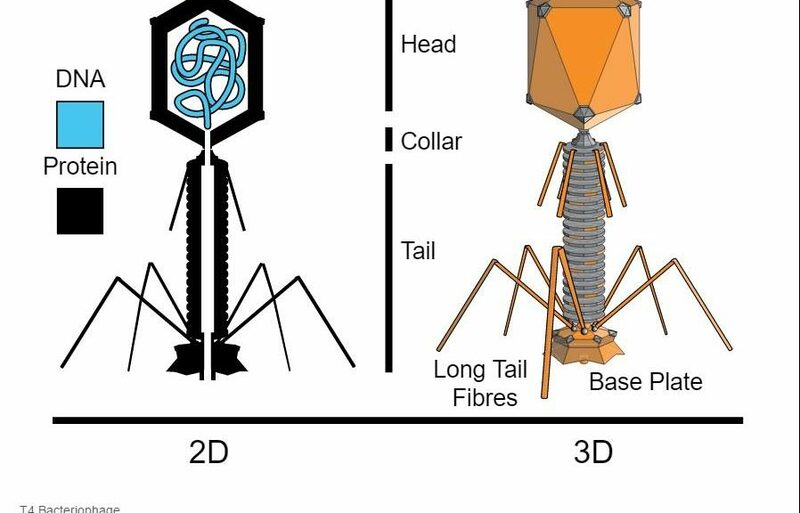 Microbes live in vacuum of space. But how? 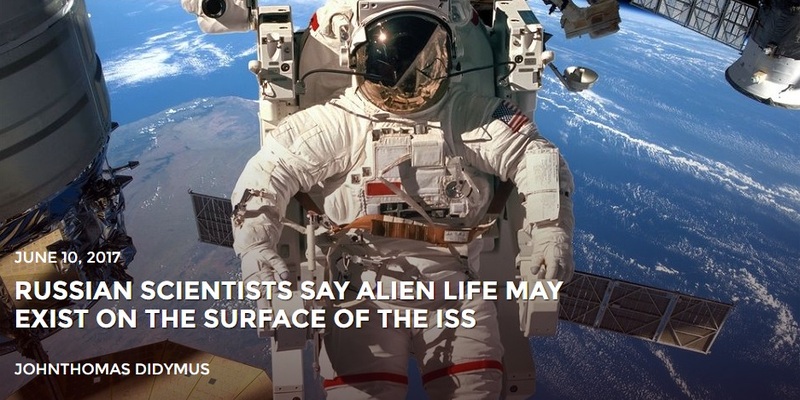 Taken from their abstract : The analysis showed the presence of viable microorganisms on the outer surface of the ISS International Space Station. 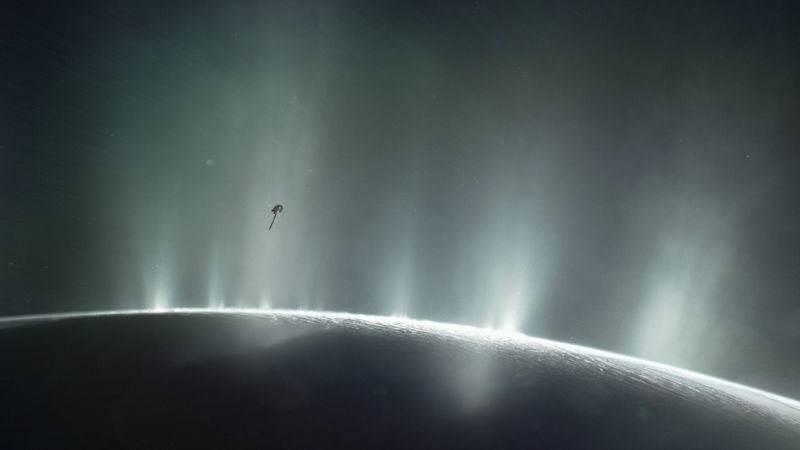 With the planning well underway for the “Search for Life” Missions by NASA and ESA (Saturn/Enceladus; Jupiter/Europa), scientists deliver a New Method and Mass-Spectrometric Instrument for Extraterrestrial Microbial Life Detection Using the Elemental Composition Analyses of Martian Regolith and Permafrost/Ice. “The instrument can be used to analyze the elemental composition of possible extraterrestrial microbial communities and compare it to that of terrestrial microorganisms”. The developed technique can be used to search for and identify microorganisms in different martian samples and in the subsurface of other planets, satellites, comets, and asteroids—in particular, Europa, Ganymede, and Enceladus. 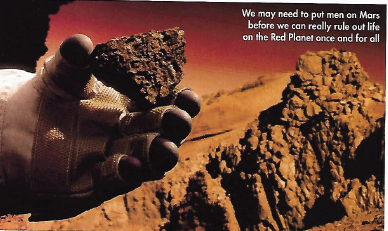 We are excited that further confirmation of the Hoyle-Wickramasnghe Model of Panspermia will be able to be tested against experiments on these remote objects. 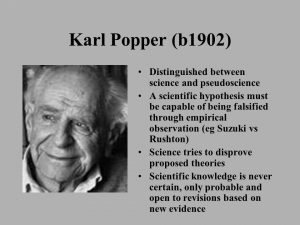 Remember as Popper always reminded us, a scientific hypothesis must be capable of being falsified. 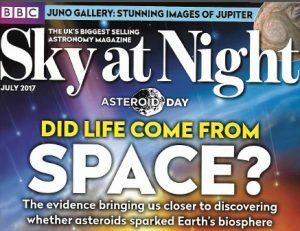 Surely the only way this hypothesis would be falsified would be that no microbes or nano-microbes are found on any of these bodies. The experiments on Comet 67P are consistent with life, but we have yet to “see” this life and try to sequence its DNA. We now understand man himself is a cloud of micro-organisms – a veritable biosystem. We know that most cells in this biosystem are not human. And even the one’s that are, have undergone extensive viral symbiosis. 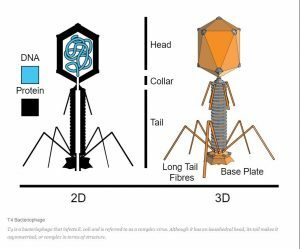 Finding virus clouds in the waters of Mars, Enceladus or Europa is predicted under the H-W Panspermia Model. 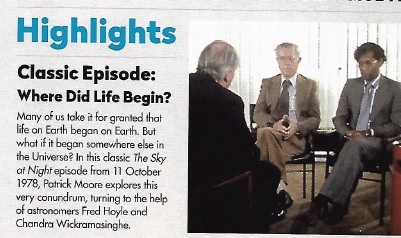 PS : Sir Fred Hoyles great 1959 work of science fiction, the Black Cloud, was indeed visionary.